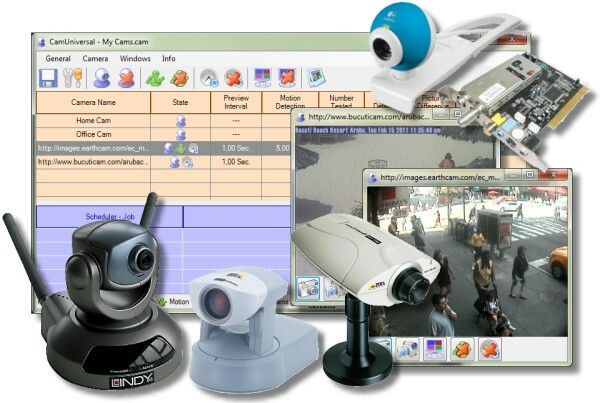 With CamLAN you see your WebCam/NetCam video on all PCs within your LAN or over the Internet. 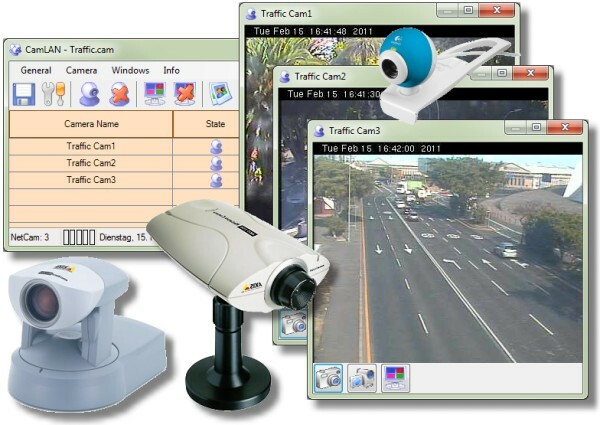 CamLAN has a built-in video network server/client functionality which shows the video from all connected video devices on all PCs. With the integrated webserver functionality you can view the videos of all cameras on your homepage! Picture capturing and video recording with timestamps and an overlay image is possible. Multiple languages support! CamPermanent - Is the ultimate solution for all of your video demands. 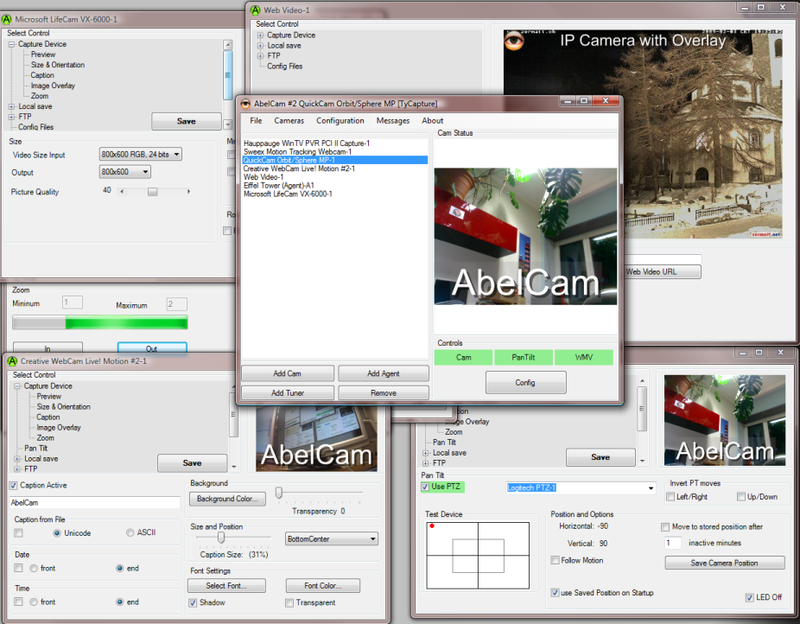 It supports WebCams, NetCams (IP-Cams) and all video devices which are working with an up to date driver for Windows. Additional it includes a network server client functionality to send the video from all cameras from one server PC to all connected client PCs. For professional and privat surveillance purposes there is a built-in motion detector which has numerous functions. CamSurveillance supports you on the way to a secure company. Adjust up to 50 IP addressable network cameras with motion detection and run them simultaneous. The cameras could exist within your companies LAN or you select the ones from the Internet which you like. Watch only the camera video in a video window on top of your desktop or adjust the motion detector and observe what is going on. 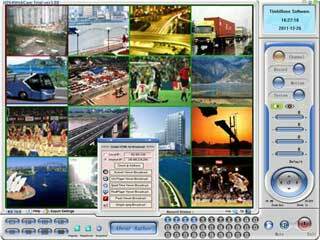 Divide Video Camera is a freeware program that divides video stream. With Divide Video Camera you can use your Camera to several applications. Split your camera. 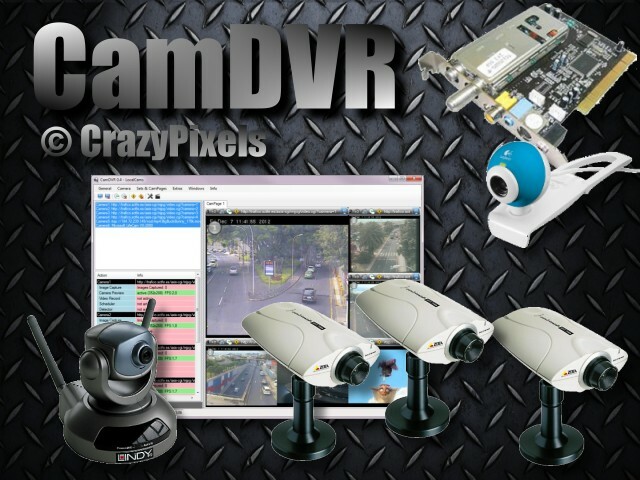 An efficient and reliable software application designed to help you easily connect and monitor remote webcams via Internet Protocol address. PTZ functions are available as motion to 10 preset camera position, jog functions. Full screen option. Possibility to record snapshot of each camera according to adjustable time interval. Application gives the possibility to set URL command of the camera to get video stream instead of basic setting. 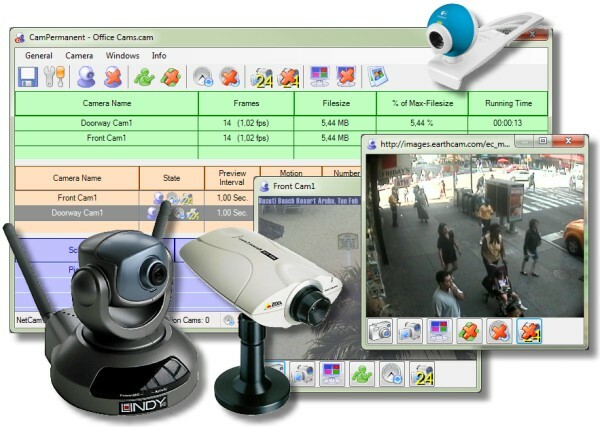 4-ch h264 remote video surveillance software for Windows. It can capture images up to 30 fps from USB and analog cameras,TV boards,capture cards,network ip camera etc. Broadcast live video to internet, and help you to create web page. It has an advanced video motion detection algorithm, various alert functions including Email,FTP,and sound. It uses H264 video encoder and AAC audio encoder, can record to MP4,MOV,AVI,FLV file.